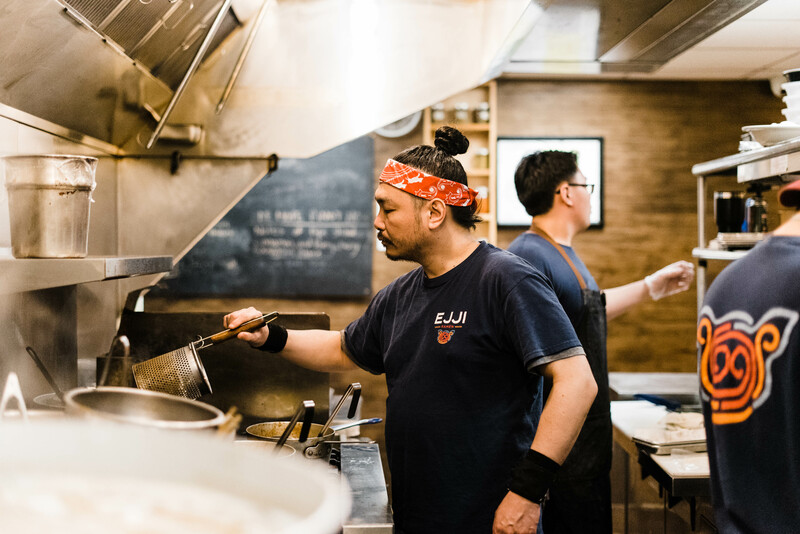 We know you love the food at Ejji Ramen, and we feel it’s important you know about who is making the delicious food you love so much. So, we sat down with Head Chef Ten Vong to get an inside look into his family history and culinary background, to really break down who the man behind the man bun is. Let’s get this interview started! Q: How long have you been cooking for? A: I’ve been working in the food industry for 27 years, professionally. I actually started my first kitchen job on my 19th birthday! Q: How did you learn the ropes of the kitchen? A: I went to culinary school right after high school and got a degree in Professional Cooking. Q: Have you always wanted to work in the food industry? A: Honestly, I had no clue what I wanted to do when I was a kid. I just knew that I loved to eat, and that I didn’t like homework! Q: Were you born in Malaysia, and do you visit often? A: Yes, I was born there. Unfortunately I don’t get to visit often, it’s been about 10 years since I’ve gotten the chance to visit home. Q: What was the inspiration for opening Ejji Ramen? A: We always grew up eating noodles and ramen. My dad always made fresh egg noodles from scratch at his restaurant, so it was something we grew up with. We wanted to offer that same experience of enjoying fresh egg noodles along with homemade soups, just like when we were kids, to the Baltimore community. At the time, we saw that there was no other place in Baltimore that did so. Q: The food at Ejji is Japanese cuisine with inspiration from your Malaysian heritage. Can you tell us how much the Malaysian v. Japanese is incorporated in the dishes at Ejji? A: Most of the dishes at Ejji are Japanese, but there are a few Malaysian dishes sprinkled in, such as the Satay or Roti Canai. Our Surfy Laksa Ramen is one of the main dishes that is a crossover of the two, and also happens to be a crowd favorite. Q: What are you most excited for Ejji in 2019? A: For our growth and the exciting new offerings we have in store for our Ejji family, including the employees and our loyal customers. Q: And now for the fun stuff… if you were a superhero, what would your superpower be? A: Silver Surfer, Thor and Doctor Strange were always my favorite superheroes growing up, so it would be along the lines of some sort of cosmic abilities, maybe even possessing one of the infinity stones, or the gauntlet itself… that would be awesome. Q: What would be the perfect way to spend your day off? A: Binging on food, and watching one of the gazillion shows in my queue that I never have time to watch. A: Definitely Sake, I’m not big on anything bubbly or carbonated. Q: Favorite song/artist right now? A: Gosh! I listen to almost everything, so that’s really tough… One of my favorite types of music is Bossa Nova. I pretty much listen to it every night as I’m falling asleep. [Fun Fact: Bossa Nova is a type of Brazilian music, similar to the jazz, or blues genres]. Q: Name one random fact about you. 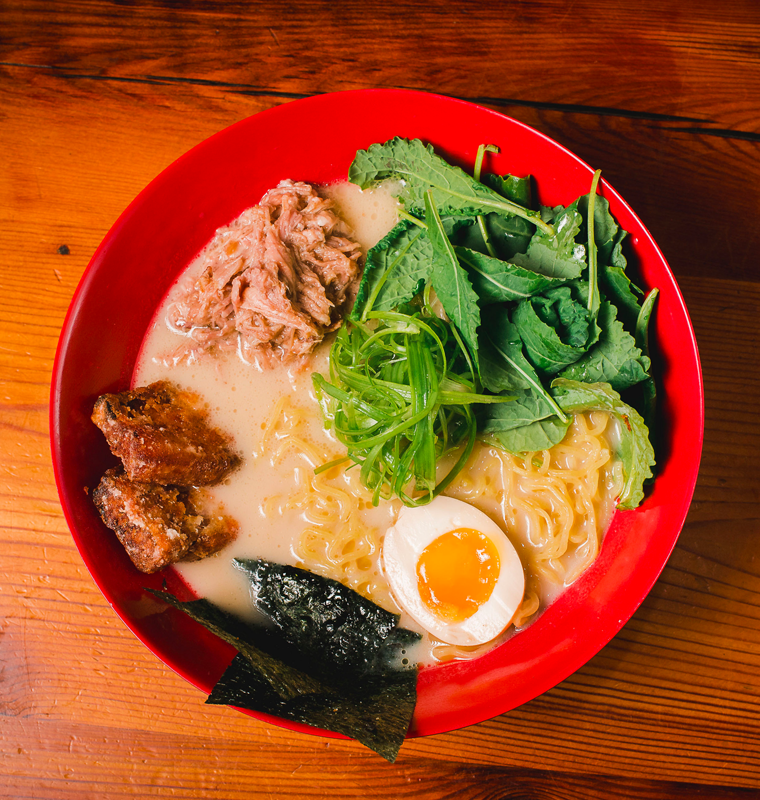 Ejji Ramen, Coming To a City Near You!